The Ruxton Riderwood Lake Roland Area Improvement Association Neighborhood News Spring 2019 contains two Lake Roland-related articles. “The L’Hirondelle Trail Renewed” documents the restoration and improvement of one of the many trails in the Park. “Happy Anniversary, Paw Point!” celebrates the ninth year of Paw Point, which has evolved into the most accommodating and vibrant off-leash dog park in Baltimore County. Lake Roland Nature Council thanks the many organizations and individuals whose contributions have been invaluable in improving Lake Roland for everyone. 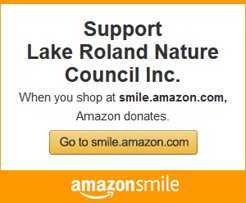 Visit our Corporate Sponsors & Donors page to see who supports Lake Roland.